CENTURI federates a growing community of biologists, physicists, mathematicians, computer scientists and engineers. Numerous teaching and research institutes are involved in our project. Interdisciplinarity is the core principle of the Turing Centre and is central to our activity in research, education and technology. Georges Debrégeas (Laboratoire Jean Perrin, Paris, France - http://www.labos.upmc.fr/ljp/?people3) will give a talk entitled "Whole-brain imaging in zebrafish larva reveals neural mechanisms underlying phototaxis". Georges Debrégeas (Laboratoire Jean Perrin, Paris, France – http://www.labos.upmc.fr/ljp/?people3) will give a talk entitled “Whole-brain imaging in zebrafish larva reveals neural mechanisms underlying phototaxis”. Fanny Mann (IBDM - Marseille, France - http://www.ibdm.univ-mrs.fr/equipe/axon-guidance-in-the-mammalian-brain/) will give a talk entitled "Neural plasticity in cancer : for better or for worse ?". Fanny Mann (IBDM – Marseille, France – http://www.ibdm.univ-mrs.fr/equipe/axon-guidance-in-the-mammalian-brain/) will give a talk entitled “Neural plasticity in cancer : for better or for worse ?“. #CSM2019 will focus on "Self-organization in multicellular systems". 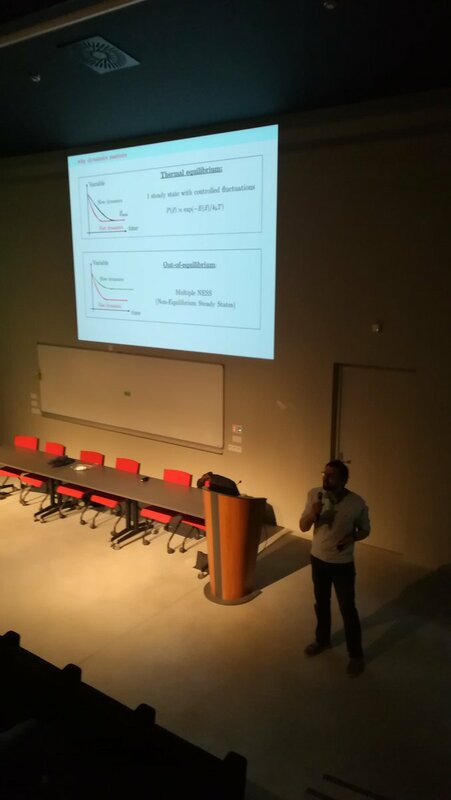 #CENTURISEMINARS Today Jean-François Rupprecht (CPT – Marseille) gives a talk entitled “Fluctuations in active viscous systems: from the cell cortex to tissues". 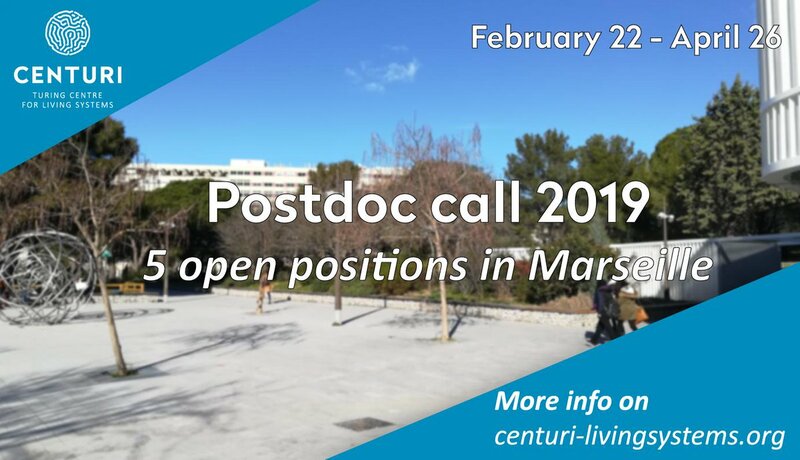 #JobOffer | 2 weeks left to apply to our interdisciplinary #Postdoc call! We're recruiting up to 5 postdoc fellows! Check out our offers or submit you own project!